1. Is there an incident report, if the injury occurred as a result of an event? Although it may not be initially discoverable, it should be requested as litigation proceeds. Who wrote the incident report? How soon after the incident was it written? What details are shared on the incident report? Are the same details in the medical record? 2. Are the medical records available from every squad that came to the scene of the injury? Both a basic life support and advanced life support/mobile intensive care unit may have provided care. There will be a transport record also if the patient was airlifted to another facility. 3. What was the patient’s health like before the incident/care that resulted from a personal injury or medical malpractice event? Did the patient require ongoing medical care? Was he or she on social security disability? Obtain medical records from all providers. 4. 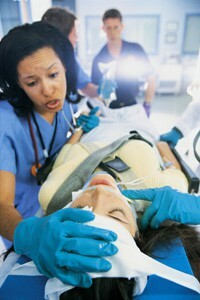 Where did the patient receive medical care after the injury? Full certified copies of medical records are needed to establish damages, particularly for the acute care. 5. What do the providers document about reaching maximal medical improvement, prognosis, permanency, and causation? Are the providers painting a rosy picture, or putting the injury in a medical perspective? A patient who is “doing well” may have reached a plateau of progress, but still be coping with severe deficits. Often this phrase should be written as “doing well under the circumstances”. 6. Are there gaps in care? Were they related to the patient moving, or running out of insurance coverage? 7. Did the patient keep medical or therapy appointments? If not, were the absences related to transportation issues or some other reason? 8. What changed in the patient’s life as a result of the injury? Did other members of the household or extended family have to assume more responsibilities? What were they? How was the patient’s enjoyment of life affected? 9. What medical costs were incurred? Were they covered by insurance? Were they all related to the injury? What medical costs are expected to occur in the future? 10. Is the patient employable now? If not, what is the value of the lost ability to work? 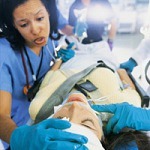 Med League nurses have expertise in preparing medical summaries that focus on damages. Contact us for assistance.